You might be familiar with one of our featured projects and clients – CleanAgents, the technology startup from Berlin. Just recently, it was purchased by The Rocket Startup Helpling – a German-based global online marketplace for household services. Helpling is an absolute leader in its segment in Germany and one of the leaders in a global market. Huge belated congratulations to CleanAgents team! 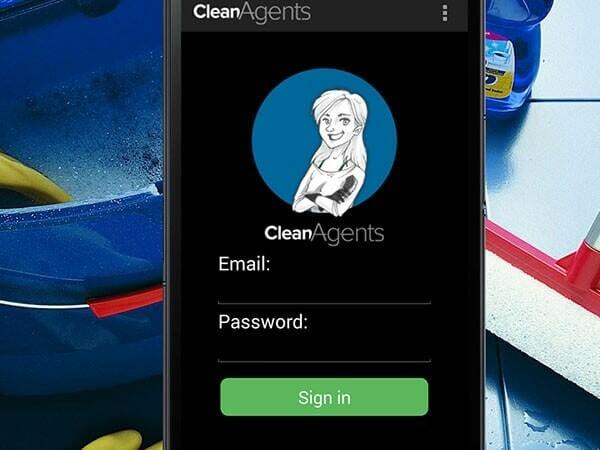 CleanAgents has been founded in June 2013 by Sergiej Rewiakin and its mobile app for cleaners has been developed from scratch by Redwerk team. They began with a web-based platform and then when a mobility of business became must-have, the guys decided to create a mobile application. As a result, the Android app has been created. The interesting detail is that the device types supported by the app were selected due to the research of the devices that were actually used by CleanAgents users. The backend of the app has been made by Redwerk using Ruby on Rails technologies, because it allows adopting the app to older device types (cleaners are not that rich to have iPhone 6 Plus, you know). The deal between CleanAgents and Helpling was remarkably successful and beneficial. CleanAgents was bought for a great price by Helpling and it continues to operate as an independent brand with the same team. This investment will certainly help the startup to reach even more success in the global market. As for Helpling, this deal gives them an access to more than 1000 cleaners in 16 German cities which expands greatly the company’s presence in the national market. We are very happy for Sergiej and his team and also we are proud that the solution we helped to develop is such a success. We wish CleanAgents team lots of new exciting challenges and achievements. Redwerk is a web and app development company that provides IT project outsourcing services. We are on the market since 2005. Outsource product development is an excellent idea for those who don’t want to overpay. Redwerk is a team of programmers, testers, and business development managers with vast experience and variety of outsourcing case studies examples. Entrust us your project idea, and we will bring it to life.